When we first announced our Singapore data centre half a year ago, we already had much planned for the region. While we have been hard at work in building our global cloud, we have also kept our feet to the ground to provide support locally for our users in Asia. We are proud to present our third office right at the heart of Singapore. 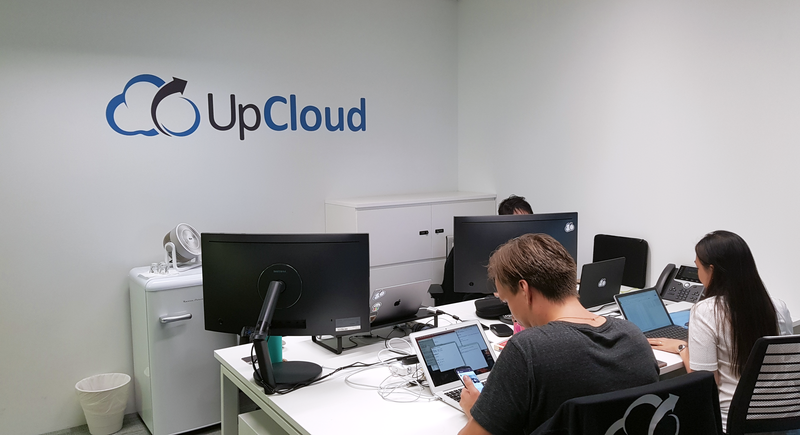 Thanks to our users, UpCloud is growing fast and we needed a new base of operations closer to the emerging markets. With the launch of our 5th data centre, the next step was only natural and we recently opened up a new office also in Singapore. After exploring our options, we found a perfect space to join many exciting success stories at Collective Works. It has been great getting to meet the many interesting neighbours. We are in good company for sure. The new office space has proven to provide everything you might need for a comfortable workday. The host of amenities and member benefits offered by Collective Works have allowed us to focus on what really matters to us, building the fastest cloud in the world! We are also happy to join the local tech and development community. To get to know all of you in the area, we are excited to be attending Slush Singapore 2017. Come to say hello at our booth number C3 if you are visiting the Marina Bay Sands Convention Centre. We will be on site through Monday to Wednesday during the Singapore Week of Innovation and Technology. The tech scene in Singapore is very active and we are looking forward to joining the many events to come. Would you like to be part of UpCloud and our quest in reaching for the stars? We are hiring for challenging positions around the world.